There are plugins available that perform this task for you. Below is all you need to customise the login page of WordPress. Add it to the bottom of your functions.php. Be sure to add your login-logo.png (transparent png’s work best!) to your themes image directory. You can change the link to your upload directory and upload your new logo using WordPress. I recently upgraded this script to use the Site Icon. Timely plugin for WordPress is a fantastic Event Calendar plugin. Everything that uses the SQL query for the Agenda Views suddenly stopped working this week. Updating the Plugin, WordPress, and trying to disable other plugins, did not fix this issue. The other calendar displays all worked fine, they use a different query. I wasted hours debugging this issue. You should use WP_DEBUG to reveal suppressed errors. It turned out to be a database error. The host was able to fix the internal error overnight. I was notified that the bug was caused by recent server maintenance. My WordPress sites updated to 3.6 pretty smoothly. Read More links for post excerpts are not being output by functions.php. The fix is simple. Just change … to &hellip; in the filter. * Add 'Read More' link to excerpts. Online stores can be overwhelming to maintain. 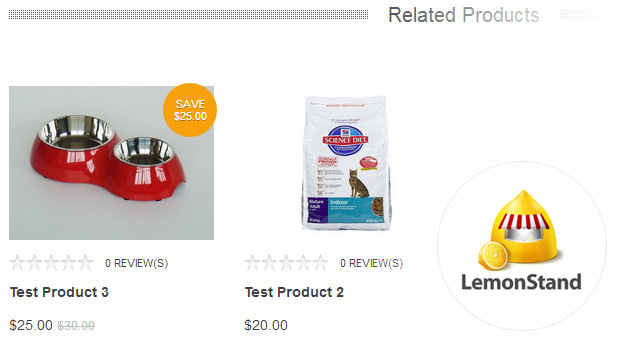 LemonStand Cart requires that you set related products on each of your products. Clients with large numbers of products prefer automation where possible. If the client does not specify related products, the below partial code will show related products from the database. The script grabs products from parent categories to ensure that the output remains relevant. The partial is formatted for a theme based on Foundation 3 responsive framework. You may have to tweak the output to work for your LemonStand site. * $auto = Activates automatic related products for a product without related products set. * $limit = Limits the list length. Default is unlimited, 0 will set unlimited. * $levels = Limits the parent category levels to get products from. Default is unlimited, 0 will set unlimited. * To use this, just render the partial on a page or partial that creates a product page, $product is required. $categories = $product->category_list->get_parents(true); // Find all parent categories. if ($key + 1 == $levels) break; // Break the loop at chosen level. I was looking for a better custom field plugin for WordPress. I found Custom Field Suite and it’s honestly one of the cleanest custom field plugins that I have used. There is a couple of minor issues in the latest build. Matt, the plugin developer, replied to my thread saying that he will fix the main bug in version 1.8.5.